“As a director of the defunct Silverado Savings & Loan in Denver, Neil Bush [brother of George W] was found by federal regulators to have engaged in a conflict of interest by participating in the approval of loans totaling $132 million from the S&L to his own business partners. In 1990, when George W. Bush’s little-known firm, Harken Energy, was awarded a lucrative contract from the Persian Gulf nation of Bahrain, the deal was widely seen as an effort on the part of Bahrain’s royal family to win favor with the White House. 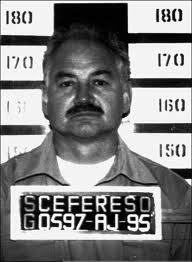 “told [US] authorities [in testimony] that Mr. Salinas Lozano was a leading figure in narcotics dealings that also involved his son, Raul Salinas de Gortiari, his son-in-law, Jose Francisco Ruiz Massieu, the No. 2 official in the governing Institutional Revolutionary Party, or PRI, and other leading politicians, according to the documents. Mr. Ruiz Massieu was assassinated in 1994.” (Dallas Morning News, 26 February 1997). According to former DEA Michael Levine, the Mexican drug Cartel was a “family affair”. Both Carlos and Raul were prominent members of the Cartel. And this was known to then US Attorney General Edward Meese in 1987 one year prior to Carlos Salinas’ inauguration as the country’s president. 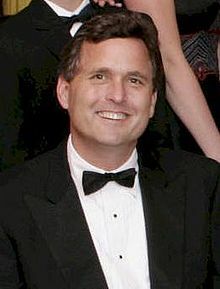 Richard Barnet of the Institute for Policy Studies, testified to the US Congress (April 14, 1994) that “billions of dollars in state assets have gone to supporters and cronies” (Dallas Morning News, 11 August 1994). These included the sale of Telefonos de Mexico, valued at $ 3.9 billion and purchased by a Salinas crony for $ 400 million.(Ibid). Raul Salinas was behind the privatisation programme. He was known as ”Mr. 10 Percent” “for the slice of bid money he allegedly demanded in exchange for helping acquaintances acquire companies, concessions and contracts [under the IMF sponsored privatisation program”(The News, InfoLatina, .Mexico, October 10, 1997). 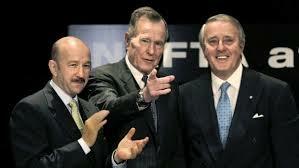 Washington has consistently denied Carlos Salinas involvement. “it was his brother Raul”, Carlos Salinas “did not know”, the American media continues to uphold Salinas as a model statesman, architect of free trade in the Americas and a friend of the Bush family.